Terry Adams Quartet: Pete Donnelly, Conrad Choucroun, Terry Adams and Scott Ligon. 9 p.m. Sunday, November 30. Off Broadway, 3509 Lemp Avenue. $20 in advance, $25 at the door. 314-773-3363. Also performing at 3 p.m. at Euclid Records, 601 East Lockwood Avenue, Webster Groves. Free. 314-961-8978. Terry Adams isn't in the mood to talk about the past. "I didn't know you wanted to go that far back," he says on the phone from western Massachusetts. It's not that he's lost his legendary sense of humor, though. "So, I want to ask you, what happened to Louis between Louisville and St. Louis? He became a saint. So what happened? He did something good heading West? This is a question I'm asking your readers." If you know, Terry Adams, founder of NRBQ and one of the very greatest piano players in rock & roll, is all ears. He always has been listening, after all, for those rock & roll spaces where most serious artists fear to tread. Whether on a free-jazz take on the Bonanza theme song, a proto-psychobilly rave-up about "Flat Foot Flewzy," a blues-funk workout called "Howard Johnson's Got His Ho-Jo Workin'" or a nasty kazoo ride that asks the eternal question, "Who Put the Garlic in the Glue?" Adams and NRBQ (the New Rhythm and Blues Quartet) set the gold standard for how deliriously fun and musically brilliant an American band could be. Adams grew up in Louisville, Kentucky, where he first began playing piano and recording. "My mother bought me a Webcor tape recorder for Christmas and a blank reel of tape," he says. "I had to fill it up. I got my brother over and a couple of friends, and we started to make a band. NRBQ was just a rehearsal band. We didn't want to do anything but play for ourselves. Maybe we should have kept doing that." Adams met NRBQ guitarist Steve Ferguson in Louisville, and as teenagers, they decided to split for Florida. "Louisville was a good place to leave," he says dryly. "That's why I'm a former Louisvillian. I don't want to say anything bad about it. There was all kinds of music around. There was probably even jazz, but I didn't know about it at the time." Miami turned out to be launching pad for New Jersey and New York, where through the '70s and '80s NRBQ established itself as one of the most spirited and surely most eclectic live bands in the country. Set lists? NRBQ didn't need no stinking set lists. It could play everything — country, jazz, rockabilly, funk, blues and pop — and anything the audience demanded. And they did so joyously. "I always had a sound and an idea," Adams says. "I knew what I wanted to do with music, and I kept doing it, kept making it better. I never wanted to be in a band that forced you to wear boots or a certain shirt, or play a certain way. I always felt that if you wanted to play a certain kind of song, you should be able to do it. I've been doing that ever since, just playing what feels right, what's right for the spirit of the place you're in, the room you're in." Between 1969 and 2002, NRBQ re-leased more than twenty albums. If the children of Watson and Crick ever want to sequence the genome of American music, they could start with NRBQ's catalog, the majority of which Adams composed or arranged. And yet those records, as wild and free as they were, never quite did justice to the irreducible uncouthness and vitality of NRBQ's live soul. 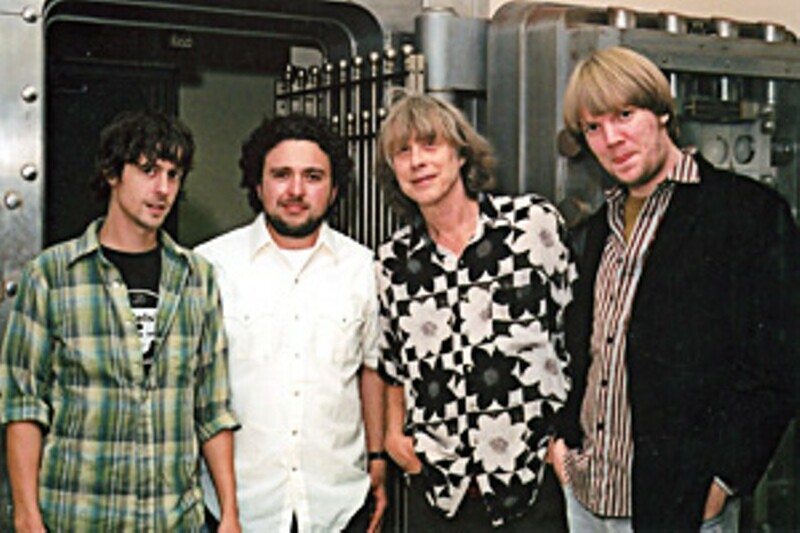 In 2004, NRBQ went on hiatus, and while there have been a few reunion shows since then, the band is unlikely to perform again on a regular basis. Adams has begun to forge a solo identity, recording a jazz-piano album, Love Letter to Andromeda, and a pop-rock throwdown called Rhythm Spell. He calls his current touring band the Terry Adams Quartet, a group featuring bassist Pete Donnelly, drummer Conrad Choucroun and guitarist and singer Scott Ligon. "They're all great musicians," Adams says. "They play for the right motives, which is important these days. Being in love with music, you know, when you have no choice." The way Ligon — a Chicago musician, who spent his teens in St. Louis and has worked with Kelly Hogan and Anna Fermin and also has fronted his own projects — tells it, there really was no choice but to join the Quartet. "NRBQ was the one band I would always go see," he enthuses. "I first saw them in 1988 when I was eighteen. I couldn't figure out what I was hearing, what era it was from, whether it was new or old. It instantly connected with me. And I had some strange feeling about Terry. I kinda felt like I knew him. He reminded me of my older brother." That older brother is Chris Ligon, an eccentric musician whose raw recordings Adams plans to release on his own label, Clang. Adams has a reputation for such projects. In 1980, he and NRBQ drummer Tom Ardolino oversaw the reissue (actually the first major release) of Philosophy of the World, the cult classic by The Shaggs. The all-girl trio, with its radically primitive and discordant sound, was awarded "Comeback of the Year" by the Rolling Stone, and Adams compiled a second Shaggs album in 1982. "I just thought the world should hear it," Adams said. "They had their own sound, a very unique way of writing. They were brilliant songwriters. The whole thing was a miracle, I think. I've heard some people say it's the worst record ever made. They're just missing out. Maybe it's one of the best." Adams has never had commercial instincts, but he doesn't need them. Into his fourth decade as a band leader and songwriter, he lets his unpredictable and unremitting creativity run where it will. For Adams, rock & roll shouldn't have a set list; it can be at its most serious when it's having the most fun. "There can be a different kind of reverence," Adams says. "Music can be downright sacred when it's good, but how you get there can be in an irreverent way."